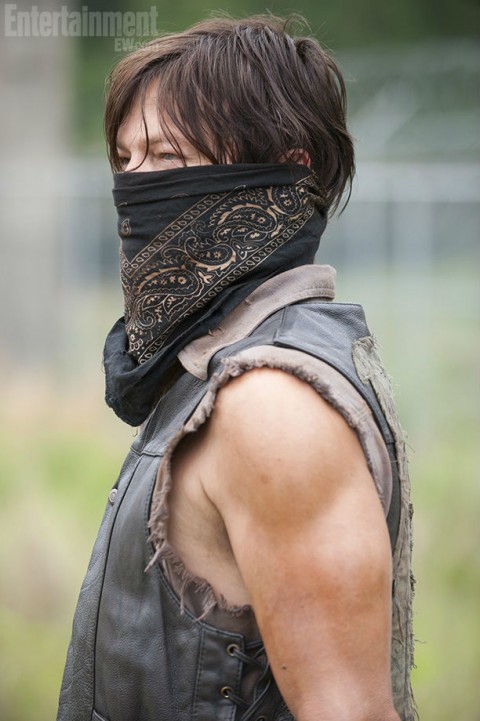 There is a new masked Daryl Dixon photo from season 4 that shows him in his standard leather vest, but he happens to be wearing a bandana that covers his face. The photo, which was brought to us by Entertainment Weekly, leaves us to our imagination in regards to what it could mean, if anything. 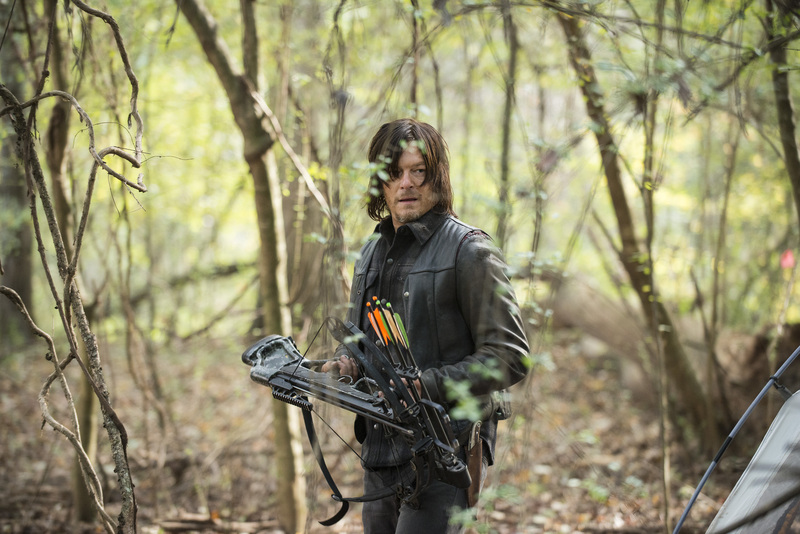 Could it be that Daryl and the group of survivors are about to do something they really don’t want to be seen doing? I mean it is the zombie apocalypse, what would it matter any way if someone saw them. It could also be to protect his health if they are about to come in contact with something that would not be healthy to breathe, or to take in. What if it’s simply another thing Daryl is adding to his already known character like the bike he rides, the bow he carries, and the vest he wears. I personally think if that was the case that was a great idea because he looks even more badass now. 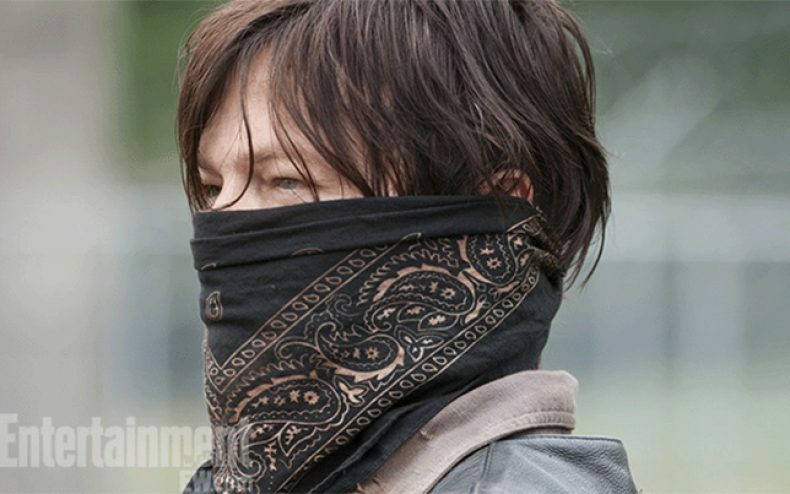 The season 4 premiere is on July 19th and so we might get more of a glimpse of this masked Daryl Dixon scene. Either way, we can only guess and use our imaginations as to why he may be wearing it for this scene, or maybe for his role in season 4. Norman Reedus Hates Horses — Who Knew? Season 4 premieres Oct 13. A trailer for Season 4 premieres July 19 in conjunction with the San Diego Comic Con. He reminds me of how Jesus looks when he’s first introduced.